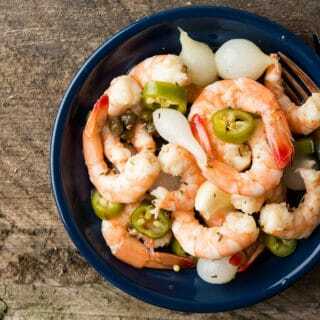 I finally managed to catch myself some shrimp, and, since it was down in Mobile, I decided to make a Southern classic, pickled shrimp. This is actually a salmon mousse, but that sounds a too frou-frou. 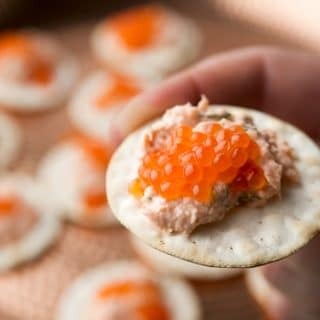 Really it’s an easy, smooth salmon dip that uses fresh and smoked salmon. Great on crackers for parties. 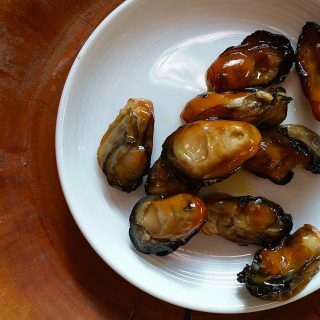 Delicately smoked oysters are a fantastic appetizer or snack, and are great on pasta. A quick, easy and tasty way to enjoy the fruits of your waterfowl hunt. 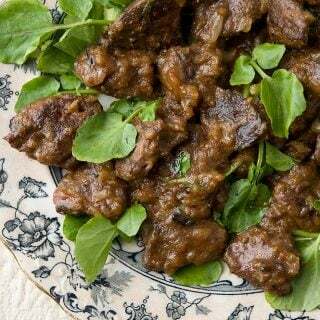 Deviled duck hearts are a British thing, and they’re hearts, dusted in flour seasoned with mustard and cayenne, cooked quickly and served with a watercress salad. A damn good appetizer or snack. Deviled eggs are one of those foods I have a hard time controlling myself with. I’ve been known to eat a dozen at a sitting, and even though I know I’ll feel ill afterwards, I can’t stop eating them. 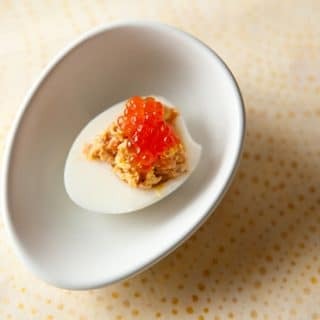 These deviled eggs, made with smoked salmon, are especially good. Ah, the unloved bluefish. I grew up catching and eating these oily, oceanic piranhas, and I love them still. 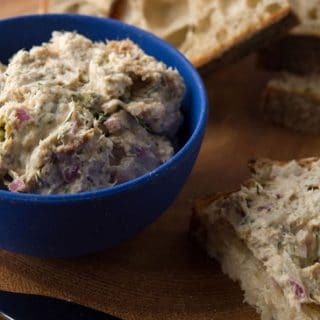 Smoked bluefish is one of my favorite smoked fish, largely because I can then make this pate from it. 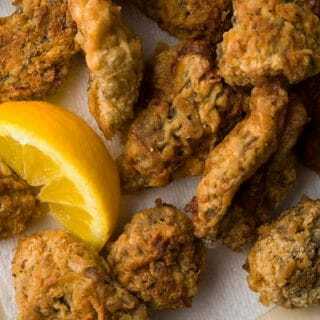 Fried morels. Where have you been all my life? Seriously. 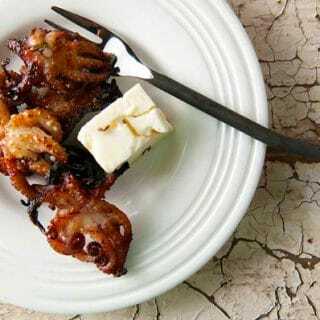 I have eaten morels for decades, but only recently have I experenced the glory of the fried morel. I am not looking back.